Four days after the murder of nine members of a government-sponsored peace committee in the Pakistani region of South Waziristan, tribal leaders have vowed to organize a special force of tribesmen to expel foreign militants from the region. The deceased were involved in an attempt to broker a ceasefire between government forces and local militants (PakTribune, January 7). The killings are part of a continuing rash of nighttime assassinations of tribal elders who refuse to cooperate with the Taliban/al-Qaeda insurgency against Pakistan’s central government that began in 2004. The growing violence marks the collapse of the conciliatory “Waziristan Accord” negotiated by regional governor Ali Muhammad Jan Orakzai in September 2006. Orakzai resigned on January 6. Maulvi Nazir—a 33-year-old tribal leader also known as Mullah Nazir—is leading the effort to take retribution for the slayings. Most of those killed in the attacks were loyal to him. A former Taliban commander believed to have connections to Pakistan’s Inter-Services Intelligence agency (ISI), Nazir has publicly accused Baitullah Mahsud of the killings. Baitullah, appointed as the leader of the Tehrik-e-Taliban Pakistan coalition late last year, has also been blamed by Pakistani President Pervez Musharraf for the assassination of opposition leader Benazir Bhutto on December 27, 2007, a charge Baitullah has denied. 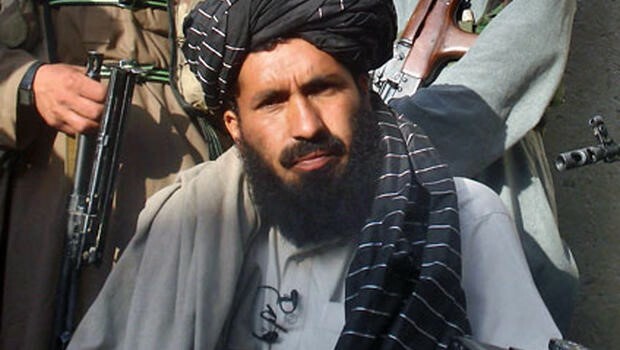 Baitullah’s ascendance as leader of Pakistan’s Taliban began with the death of militant leader Nek Muhammad in a U.S. Hellfire missile attack in June 2004. As a result of Baitullah’s alleged involvement in the murders, members of his Mahsud tribe have also been targeted by Nazir’s followers, who are members of the rival Ahmadzai Wazir tribe. The Ahmadzai are particularly strong in the western part of South Waziristan, where they control the passes and trade routes into Afghanistan. Vehicles mounted with loudspeakers have been driving around the Wana region, ordering Mahsud tribesmen to leave the area (Daily Times [Lahore], January 9). Shops and markets in the area remain closed in anticipation of renewed violence. The killings were the result of two separate rocket attacks on the evening of January 6. The first, in the regional capital of Wana, killed three; the second, at the office of Maulvi Khanan—a close aide of Maulvi Nazir—in nearby Shakai, killed six and wounded five (Dawn [Karachi], January 8). Immediate retribution took the form of one Mahsud tribesman killed and four abducted the next day (Daily Times, January 9). Thousands of angry tribesmen assembled in a jirga (a tribal meeting to consider important issues) on January 9. Malik Ghaffar, a tribal chief, declared that one man from each house should gather the following day to plan a course of action (Dawn, January 9; Daily Times, January 10). A lashkar is a body of tribesmen formed as a war party to deal with a particular incident. This may be in response to a family feud, a tribal clash or in reaction to a specific government policy. The size of the lashkar is in proportion to the perceived degree of threat . In this case the lashkar will be formed from 600 armed tribesmen. According to tribal elder Meetha Khan, “The lashkar will give two options to those sheltering the foreigners, either to stop sheltering them and return to their tribe, or face the eviction of their families from the area” (AP, January 10). South Waziristan is one of the Federally Administered Tribal Areas (FATA) of western Pakistan, a region where the central authority of Islamabad is very weak. The region was also highly resistant to British colonial rule, has little infrastructure and is difficult to reach or travel through. Despite the presence of at least 80,000 soldiers from the regular army and the paramilitary Frontier Corps in the region, government control remains light, and is administered through a series of colonial style political agents. Sharia law is enforced through self-appointed leaders like Maulvi Nazir. Technically the area is officially subject to the Frontier Crimes Regulation, a colonial holdover that still incorporates the concept of collective responsibility, which has long been abandoned in most parts of the world. The Ahmadzai, for example, were fined $95,000 in 2004 for failing to stop rocket attacks on federal security forces (BBC, March 4, 2004). Demolition of homes, closure of businesses and seizure of vehicles remain common punishments regardless of the guilt of the individuals so affected. Homes in the region are built like small fortresses, increasing the difficulty of rooting out militant suspects. Violation of the integrity of these homes is regarded as a major offence, while the death of an individual in security operations inevitably leads to a vendetta (badal). The Ahmadzai believe that the assassins of the elders are Uzbek militants from the community of Islamic Movement of Uzbekistan (IMU) fighters who crossed into South Waziristan from Afghanistan in 2001. Led by Tahir Yuldash, the Uzbeks had been allowed by the Taliban to take refuge and set up training camps in Afghanistan after a number of setbacks in their Central Asian jihad. Initially trained and led by Uzbek veterans of the Soviet armed forces, the Uzbeks are skilled fighters who have taken on security duties for the al-Qaeda leadership in the tribal regions of Pakistan. Since their arrival the Uzbeks have established successful farms and businesses as well as integrating into the local community through intermarriage. By doing so, the Uzbeks have availed themselves of the powerful local custom of melmastia (“hospitality”), which involves the protection of the host party against all attempts to harm or seize the guest. At the same time the Uzbeks have become involved in local vendettas as guns-for-hire and are blamed for much of the violent crime in the region. This has resulted in a number of violent battles between tribesmen and Uzbek fighters in recent years. Already well-known in Afghanistan as a Taliban commander, Maulvi Nazir made his reputation locally by leading tribesmen in successful attacks against the Uzbeks last year, driving most of them from the Wana Valley in April 2007. The Uzbeks have developed especially close ties to members of the Mahsud tribe but are no longer united under a single leader. There are indications that the murders of the Ahmadzai leaders may be part of an intra-clan struggle for leadership of the Ahmadzai. According to one report, Maulvi Nazir’s brother and rival, Noorul Islam, has claimed responsibility for the attacks as retaliation for Maulvi Nazir’s alliance with the government and his initiation of a war against the Uzbeks. According to Noorul, “Maulvi Nazir is the government’s agent and he will pay a heavy price for killing mujahideen” (Udayavani, January 10). Not all members of the Mahsud tribe support Baitullah’s growing feud with the Ahmadzai: a jirga of 80 Mahsud elders met with Baitullah’s followers on January 8 to try to defuse a potentially devastating tribal war. Nazir is a member of the small Kakakhel sub-clan of the Ahmadzai and achieved dominance over larger and traditionally stronger groups within the tribe such as the Zalikhel clan and the Yargulkhel sub-clan through the political and military support of the Afghan Taliban and the ISI. There are other local Taliban leaders, however, like Hajji Umar—a Yargulkhel and brother of the late Nek Muhammad—who oppose Maulvi Nazir. Even though Baitullah Mahsud has denied involvement in the assassinations of the Ahmadzai elders, his men continue to attack Pakistani security forces in South Waziristan. A rocket attack on a security post at Chugmalai on January 7 killed one and injured three. Three security men were abducted the next day near Mouli Khan Sarai (Daily Times, January 9; Udayavani, January 10). Security forces responded with mortar attacks on Mahsud targets. Militants have also cut off food and water supplies to the security forces’ fort at Laddah (Dawn, January 8). Interim Interior Minister Hamid Nawaz announced that Pakistan’s intelligence agencies and the Pakistani army have begun a joint operation to take Baitullah Mahsud alive in order to “trace his accomplices,” but denied rumors that foreign agencies would take part in the hunt (Daily Times, January 8). There have been reports in U.S. newspapers in the last few weeks that the Bush administration was considering inserting U.S. Special Forces and CIA operatives into the tribal regions of Pakistan (NYT, January 5; Washington Post, January 6). It would be a mistake to regard Maulvi Nazir as either pro-Washington or pro-Islamabad. Nazir acts in his own interest, those of his clan and those of his tribe and will ally himself with anyone he perceives may further those interests. His extended family owns property on both side of the Afghan-Pakistani border and he travels freely between the two without interference from the Afghan Taliban. The apparently impending explosion of violence in the Waziristan frontier region will only create further instability that can be exploited by the Taliban and al-Qaeda.